Not many cars get a 20-year span of production, and fewer make it through those years with only one major change. The SAAB 96 is one of those cars, and it may look like a curiosity to modern eyes but the car survived and prospered because it works well for its purpose. The original SAAB 96 was introduced in 1960 as a 1961 model year car. The 96 succeeded the older SAAB 92 and 93 models, and was co-produced with the similar SAAB 95 station wagon through 1978. The 96 was part of the SAAB design tradition: a two-door coupe with front wheel drive and an aerodynamic body. That’s no accident; SAAB is an acronym for Svenska Aeroplan AB – the Swedish Airplane Corporation. Much of the badging and grille design reflects that heritage, and SAAB was also engaged in airplane design and production throughout the 96 era. The first six years’ production of SAAB 96 were delivered with the traditional inline three-cylinder, two-stroke engine. The engine displaced 841 cc and produced 38 horsepower. That engine stayed the same through 1967, with minor adjustments to increase the horsepower to 46.. A special Monte Carlo version delivered 60 horsepower. Transmission options included a three-speed or four-speed manual. Buyers could also order the Saxomat automatic centrifugal clutch through the 1965 model year. In 1966 a secret project by SAAB’s head of engine development, Rolf Mellde, resulted in a palace coup at the automaker. The 1967-68 models could be ordered with the traditional two-stroke (now known as a “Shrike”), or for the 1967-71 models, a new Ford V-4 engine that displaced 1498 cc and produced 73 horsepower. To meet the emissions requirements of the American market in 1971, the 96 was given a larger 1698-cc version of the same V-4 engine. This was the engine that had been used in the SAAB Sonnett sports car, but at a lower compression ratio and still delivering 73 horsepower. The engine rating declined to 65 horsepower in 1972 as a result of an even lower compression ratio. 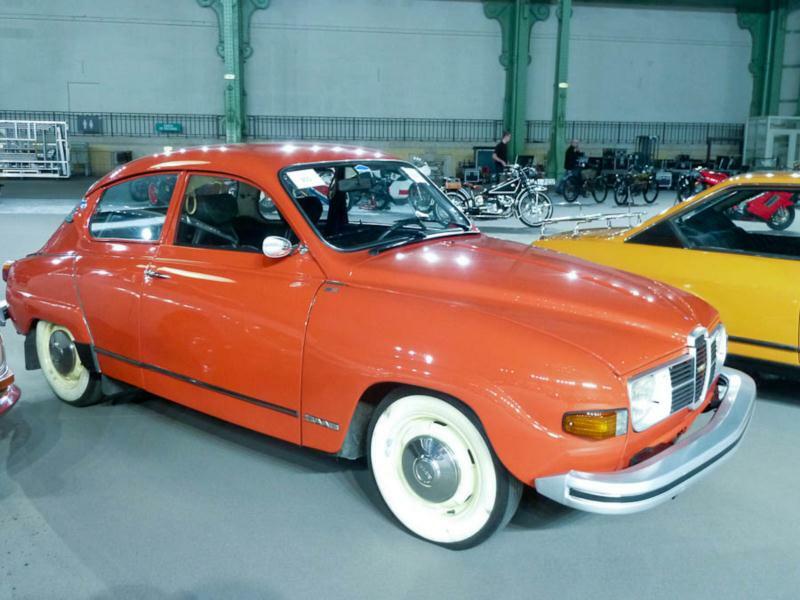 For 1973, the SAAB 96 was carried over with no changes, and this was the last year the car was formally imported into the US, although production continued in Europe through January of 1980. Often referred to as a “turtleback” design, the SAAB 96 won many rallies and other races with its excellent handling and tough, dependable mechanicals. Vintage SAABs count as a cult classic, so according to their preference, collectors may choose the rarer two-stroke versions or any of the V-4 options. Many of these cars are in the hands of rally enthusiasts, where they are still popular in vintage competition. The vehicles equipped with the Saxomat clutch may have limited parts availability, and this could play a factor in the buyer’s decision to purchase.